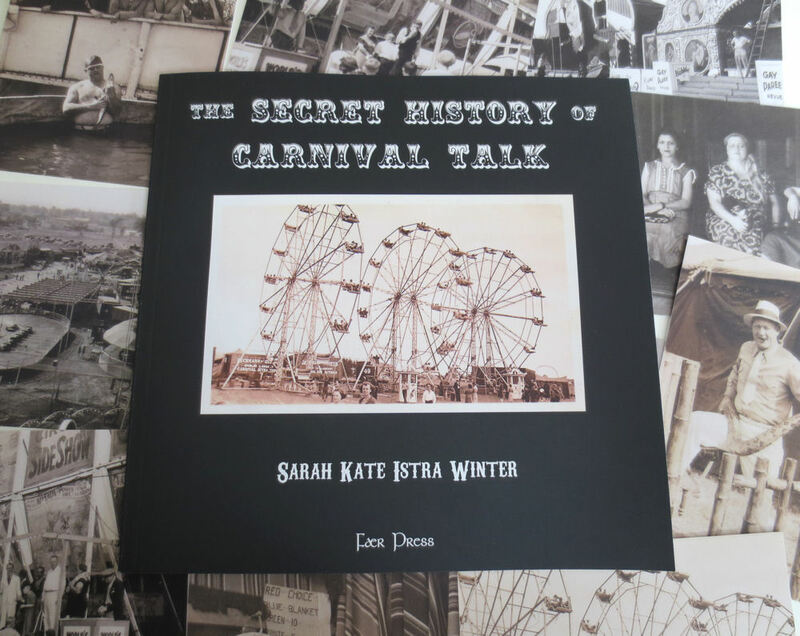 There are several ways to buy The Secret History of Carnival Talk. 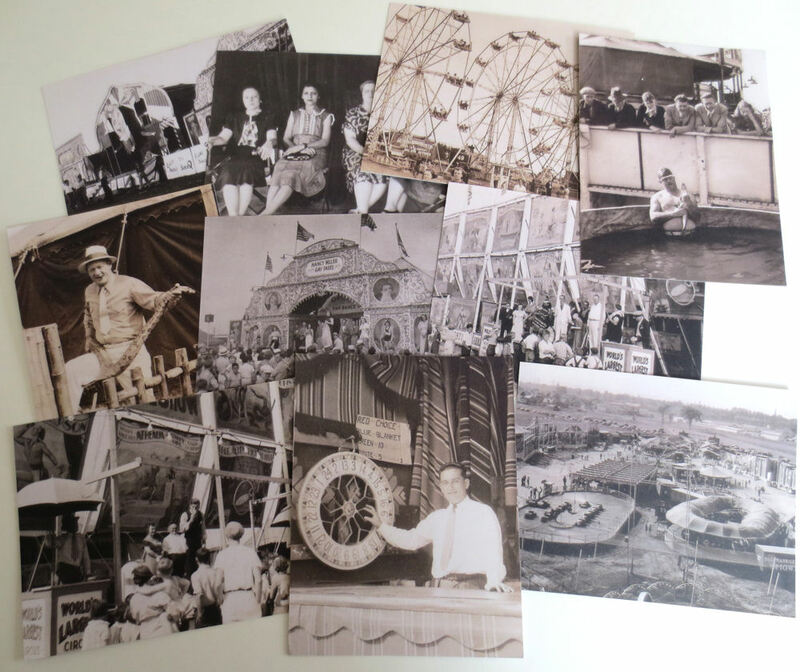 You will receive: a signed copy of the book, a set of 10 postcards featuring 10 different photographs from the book, and a promotional bookmark with an image of the sideshow bally. If you want a special inscription or dedication, please request it in the notes section when you purchase. Each postcard measures 4.25″ x 5.5″ and is printed on recycled cardstock with a matte finish. Reverse side identifies the photo, with plenty of space to write. Comes with plain white envelopes if you would prefer to keep your messages private, and/or avoid postmarks on the cards. These photos are so interesting and detailed, they are suitable for framing! $22 + $6.50 shipping. Will be sent by Priority Mail within the U.S. Available on eBay or in the Magpie & Rook Etsy shop. 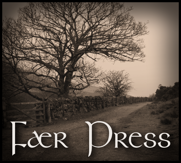 You will receive a set of 10 postcards featuring 10 different photographs from the book. Each postcard measures 4.25″ x 5.5″ and is printed on recycled cardstock with a matte finish. Reverse side identifies the photo, with plenty of space to write. [Optional: available with plain white envelopes if you would prefer to keep your messages private, and/or avoid postmarks on the cards.] These photos are so interesting and detailed, they are suitable for framing! $7.50 + $2.50 shipping. Will be sent by First Class Mail within the U.S. Available in the Magpie & Rook Etsy shop. The main attraction! Step right up and learn about this fascinating part of history. Available on Amazon.com (shipping free with Prime membership) and BarnesandNoble.com (shipping free over $25). 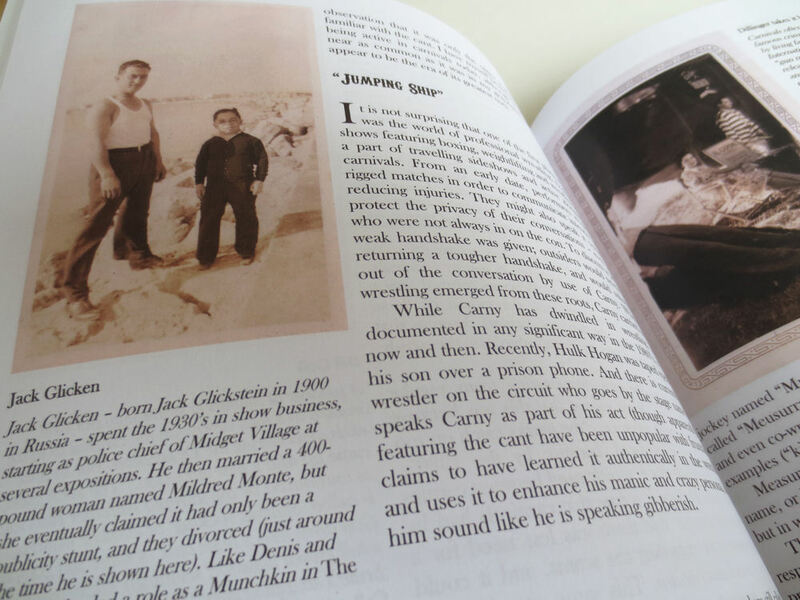 Sets of postcards featuring the photos in the book are available to purchase separately, or with a signed copy of the book! Convert any block of text into Carny with The Fabulous Carny Generator!